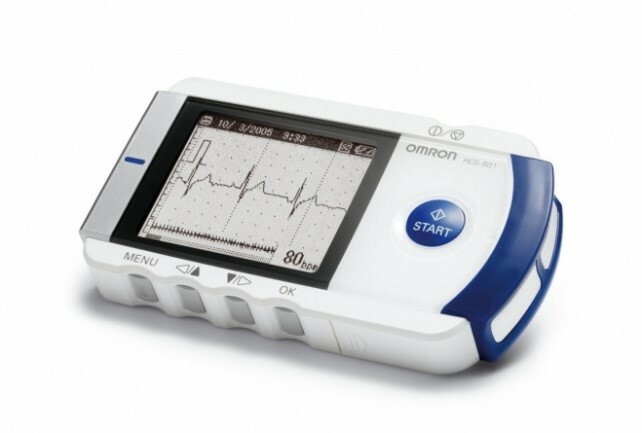 An Event Monitor is similar to a Holter Monitor which is a portable device for continuously monitoring the heart's electrical activity. The key difference is that Event Monitors do not record the heart rhythm continuously. It is only activated when the patient feels a symptom related to their heart. Unlike the Holter monitor, the device is not attached to the skin so the patient can still shower/bathe and patients with sensitive skin will not have to have electrodes attached to their skin. The device is normally given to the patient to use for 7 days. An irregular heart beat may not last long enough to register on an electrocardiogram (ECG), cardiac Event Monitoring can help pinpoint the cause when the heartbeat irregularity occurs. The device is activated whilst the patient is experiencing symptoms such as dizziness, palpitations, shortness of breath, fainting spells or chest pain to discover what is causing the symptoms. No preparation is required for an event monitor. Medication can be taken as per your usual routine. On the day of your appointment the technician will show you how to use the device. This will take approximately 5-10 minutes. The monitor is small enough to carry around in a pocket or hand bag. A diary to record any symptoms that you may experience (palpitations, light headedness etc.) will be provided to you.